What the Block? 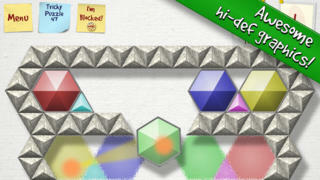 !™ is the 5-star rated puzzle game that will challenge both your brain and your dexterity! Named App of the Week by Corona Labs! How do you play? Just pick up and arrange the colored blocks to match a pattern. But don't forget about gravity -- the blocks have to stay in place after you let go! - "I can't put this game down!!" - "Challenging and satisfying - I'm completely addicted!" - "I was so into this game, I missed my subway stop by 20 minutes..."
- Over 250 hand-designed puzzles! 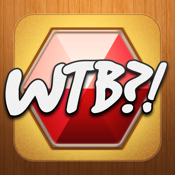 - Beginner and Easy puzzles will get you started, while Expert and Genius puzzles will have you shouting WTB?! - Realistic physics - feels like playing with real blocks! Note: This version is the same as What the Block?! Free but without any advertisements.